Why do I recommend tests for your soil? Take a look at some of the hundreds of real estate ads for homes in your area. You will find plenty of descriptions about the structure. There will also be comments about the fantastic neighborhood schools. You will also learn the home’s size, configuration, flooring, countertops and if you look closely, maybe even the price. What you won’t find is any meaningful information about the soil that these homes were built upon. Dirt is obviously not a selling feature, but it is important. Unfortunately there are serious reasons homeowners should know about the land beneath the home that you purchase. The structure is supported and surrounded by the land, and it’s likely that you, your kids, pets, garden and landscape will interact fairly intimately with it. If you grow and consume vegetables or fruit on your property, you will literally become one with the land. With that in mind, there are two key soil tests that I believe every homeowner should have: 1) a soil chemical analysis to reveal the chemical, nutrient composition and expose any pollutants and 2) a strength test. 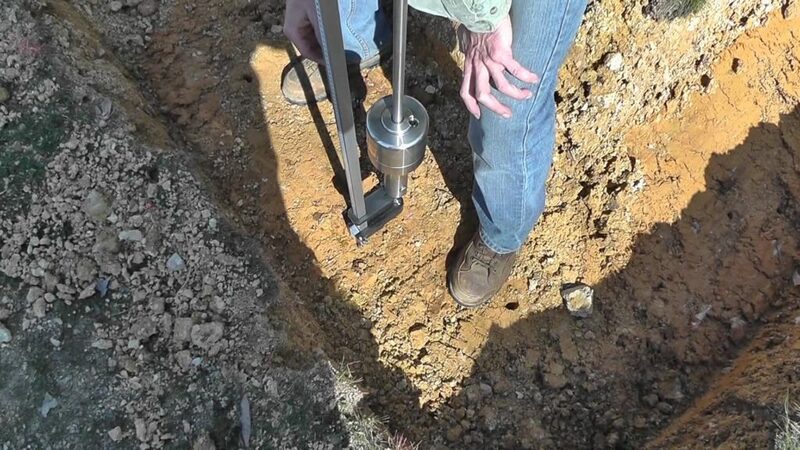 A geotechnical/hydrological evaluation to determine the soil’s subsurface make-up, stability and strength characteristics. The history of your site matters! Explore the surrounding area and talk to folks who have lived there a while. Check local historical records and the assessor’s office to trace back prior ownership and use of your property. If you discover your lot was part of an orchard, landfill or underground storage tank, you need to know if there are pollution indicators present. What about any building history? Were any structures built on the property before 1980? If so, what type? Were they residential only or for some kind of commerce. At a minimum there may have been exterior painting projects which could have resulted in lead paint contamination. Lead, cadmium, chromium, etc. are persistent heavy metals that will linger in soil. If you suspect pollution issues, consult a reputable health sciences firm to learn your risks and remediation options. 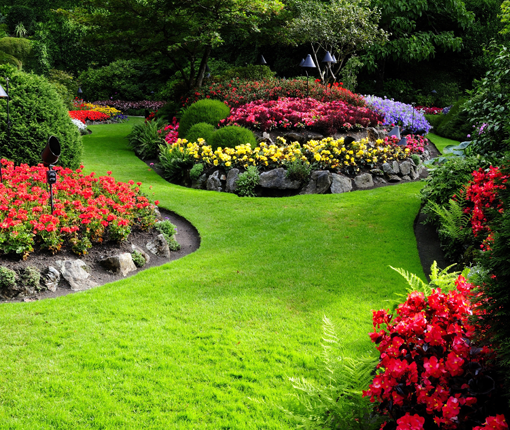 The soil should be tested to identify problem any chemicals and develop remedial plans. What type of soil is it? If you’re planning a garden, vineyard or orchard, testing for drainage and nutrients will help identify which fertilizers and soil amendments are needed – if any. Knowing this information will help you select plants that will thrive in such soil and how you should be irrigating. Structures and soil technology: If you’re thinking of building on the site, or if experiencing significant settling in an existing building, a soil analysis will help determine the structural building methods required for your site. Bedrock, expansive clays and the presence of subsurface water and sand all demand different structural engineering and construction strategies. Heavy metal contaminants: Most of these will not travel upwards through layers of soil. Soil replacement or “encapsulation,” will work as acceptable mitigation strategies for heavy metals. If you replace the soil be sure to check the history of the new soil also. See photo below for an example of where new soil comes from. Gas and liquid contaminants: These will tend to migrate upward through the soil and eventually out to the atmosphere. When these are suspected, they should be identified and professionally contained ASAP. When dealing with contaminants, sometimes things are better left alone. There are cases in which disturbing existing contaminated soil will do more harm than good. Deciding this is why consulting with a professional testing service is so important. Wearing shoes inside the home is a common way for herbicides, pesticides and other contaminants to find their way indoors. I recommend to our clients to routinely remove shoes at the door as there are proven health and cleanliness benefits to this practice. For my HPS clients (and my own personal needs) I recommend talking to Alex Stadtner at Healthy Building Science. Alex is a real professional and can offer soil testing services and other practical help to guide you through the process. Finding out what is actually present in your soil and what needs to be done to protect your family from soil contamination is as important as the look of granite. Here is a soil testing video that may be helpful. Thank you for taking time to read my blogs and use this free website. I hope you find the information here useful. I spend a lot of time on this. If you find the information here of value, the best way to help me continue is to share the pages of this site with others. You can easily share what you find here on all your favorite social media sites via the shortcut buttons, or just email the link to your friends. The very best way to help to me is when you use my recommended links to buy things. Using a link will cost you nothing, yet it is a great source of support for this site. The vendors and other resources I link to always have the best quality, prices and service, which is why I use and recommend them personally. As this website is copyrighted and formally registered, it is unlawful to make copies of it, including cut and paste or especially in the form of making printouts for personal use. Although, if you wish to make a print for personal use, I will happily grant you one-time permission if you will kindly send (using this easy link) a PayPal to me of just $9.00 per printout page. Thanks again!